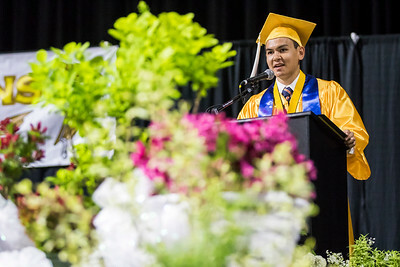 Sarah Nader - snader@shawmedia.com Co-Valedictorian Michael Pasetes makes his speech during the Harry D. Jacobs High School 2017 Commencement at the Sears Center Arena in Hoffman Estates Saturday, May 20, 2017. 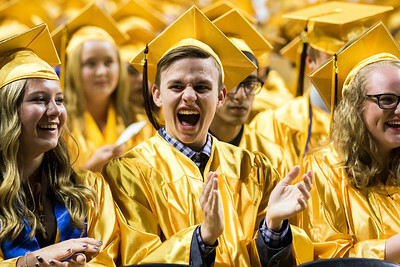 Sarah Nader - snader@shawmedia.com Brandon Teadt listens to speeches during the Harry D. Jacobs High School 2017 Commencement at the Sears Center Arena in Hoffman Estates Saturday, May 20, 2017. 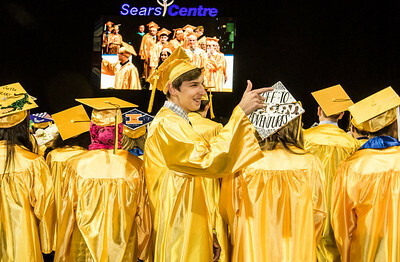 Sarah Nader - snader@shawmedia.com David Corbeil (center) during the Harry D. Jacobs High School 2017 Commencement at the Sears Center Arena in Hoffman Estates Saturday, May 20, 2017. 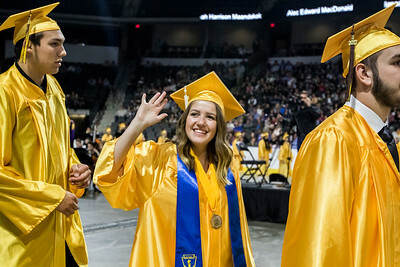 Sarah Nader - snader@shawmedia.com Jessica Kuhns waves at family members in the crowd during the Harry D. Jacobs High School 2017 Commencement at the Sears Center Arena in Hoffman Estates Saturday, May 20, 2017. 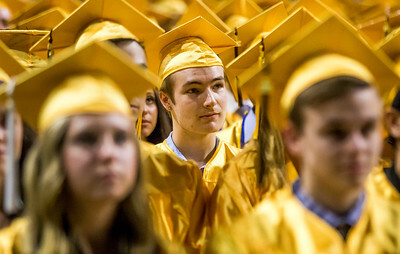 Sarah Nader - snader@shawmedia.com Wesley Zawacki watches as his classmates take their seats during the Harry D. Jacobs High School 2017 Commencement at the Sears Center Arena in Hoffman Estates Saturday, May 20, 2017. 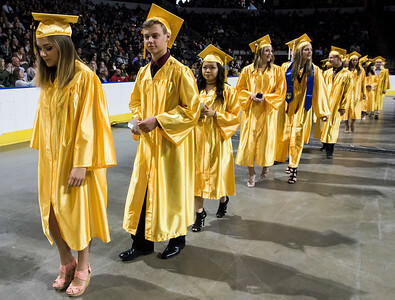 Sarah Nader - snader@shawmedia.com Students walk to their seats during the Harry D. Jacobs High School 2017 Commencement at the Sears Center Arena in Hoffman Estates Saturday, May 20, 2017. Sarah Nader - snader@shawmedia.com Talia Tomson of Algonquin hugs her friend before the Harry D. Jacobs High School 2017 Commencement at the Sears Center Arena in Hoffman Estates Saturday, May 20, 2017. 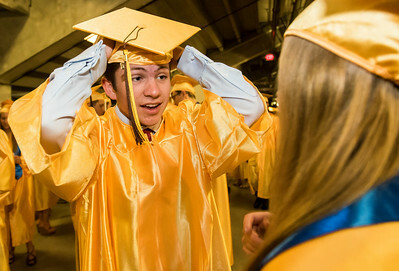 Sarah Nader - snader@shawmedia.com Jackson Wilken puts his cap on before the Harry D. Jacobs High School 2017 Commencement at the Sears Center Arena in Hoffman Estates Saturday, May 20, 2017. 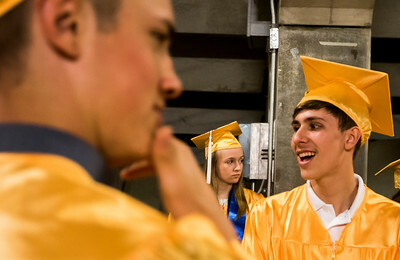 Sarah Nader - snader@shawmedia.com Cirrus Lingl (center) of Algonquin waits in line before the Harry D. Jacobs High School 2017 Commencement at the Sears Center Arena in Hoffman Estates Saturday, May 20, 2017. 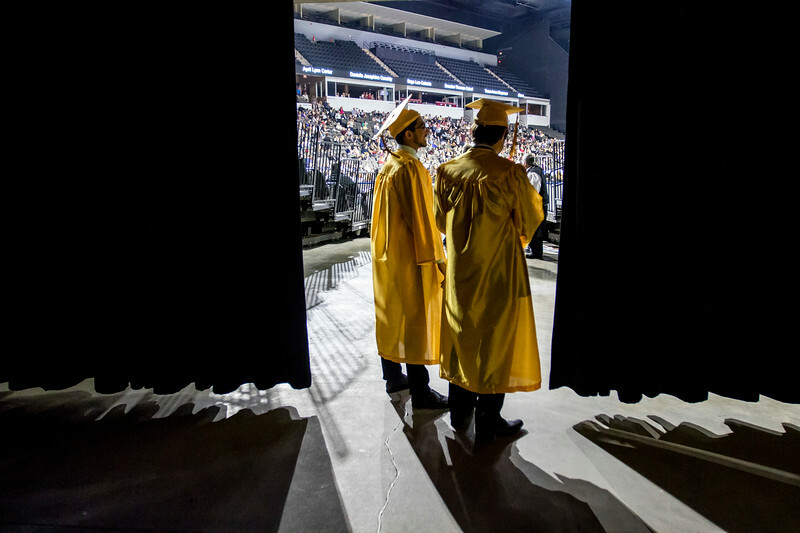 Sarah Nader - snader@shawmedia.com Tamur Baig (left) and Andrew Benson takes a peak at the arena before the Harry D. Jacobs High School 2017 Commencement at the Sears Center Arena in Hoffman Estates Saturday, May 20, 2017. Tamur Baig (left) and Andrew Benson takes a peak at the arena before the Harry D. Jacobs High School 2017 Commencement at the Sears Center Arena in Hoffman Estates Saturday, May 20, 2017.